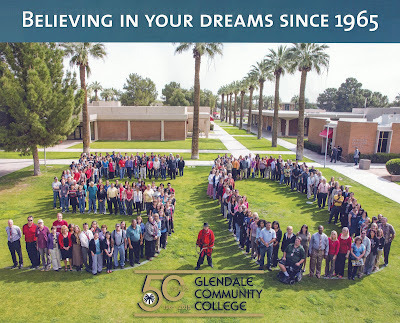 If you've ever been on the campus of Glendale Community College, at 59th Avenue and Olive in Glendale, Arizona, you've walked past some historic palm trees that are over 100 years old. 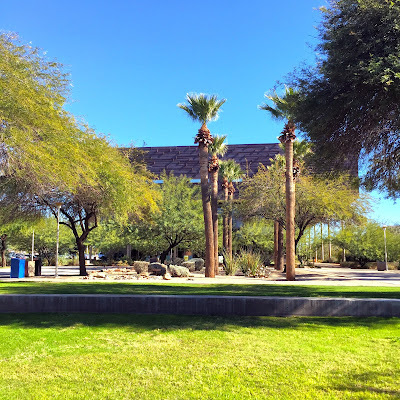 Of course, unless you're fascinated with Phoenix history like I am (and a tree-hugger), you really can't be blamed for walking right past them and not seeing them. But once you start seeing them, then some pretty cool history of Glendale starts to appear. Walk with me. 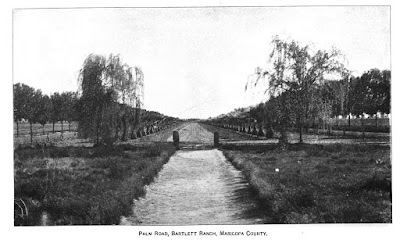 It's 1899 and we're going to pay a visit to William Bartlett at his ranch, which is a few miles north of the little settlement of Glendale, Arizona. As we get closer, we begin to see the entrance, which is lined with tiny little palm trees. Bartlett is a pretty wealthy man, so he had a lot of seedlings sent over from California to line his driveway, which was just west of where 59th Avenue is nowadays, at Olive. 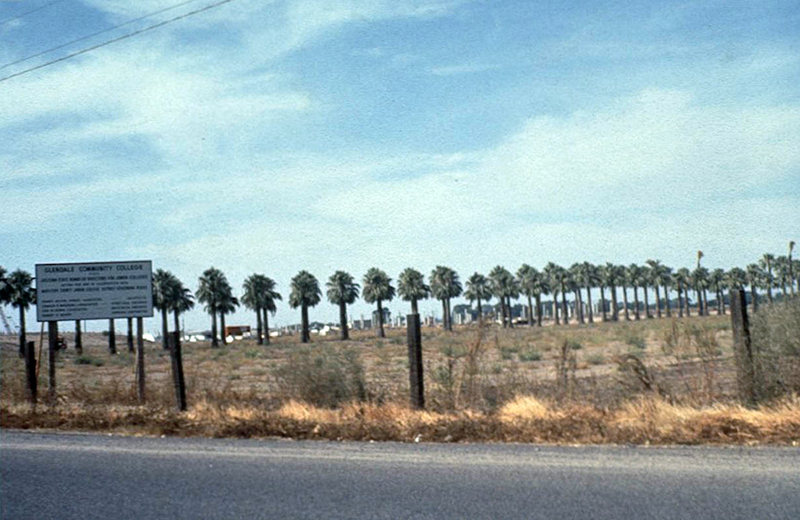 No, they're not date palms, they're simply California fan palms. They don't produce dates, they're just decorative. And they were planted there just for show, just like his rose garden, which is also still there in front of the house at the Sahuaro Ranch. Time-travel to the 1960s now. Those palm trees are now pretty darn tall, and since there isn't much else out there, they've become important to the people who have seen them for over fifty years. And when plans were being made to build a campus there, you can bet that people were worried that the bulldozers would just knock them down. 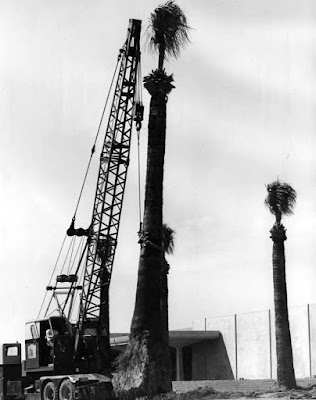 But they didn't, the historic trees were carefully transplanted. 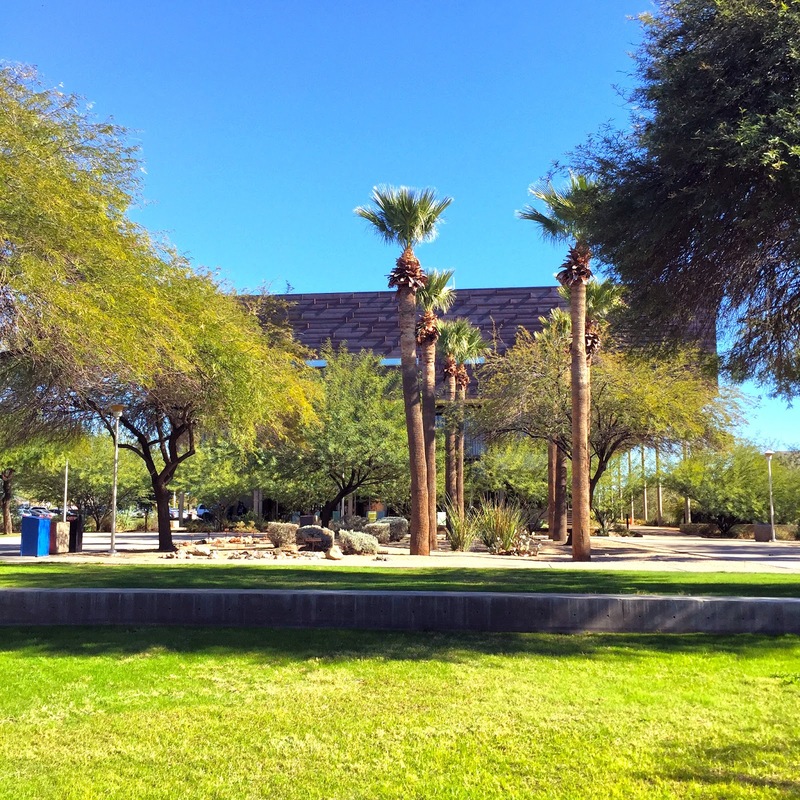 Walk around the campus with me today. 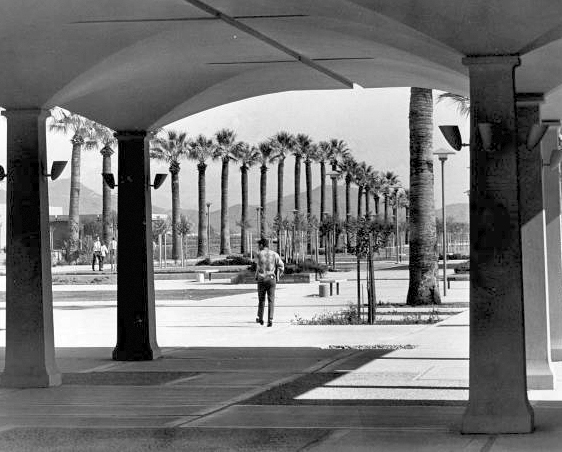 The trees that were planted that led up to the Sahuaro Ranch are still there, marching right now through the center of campus. The ones that weren't moved, by the way, are over behind the fire station. 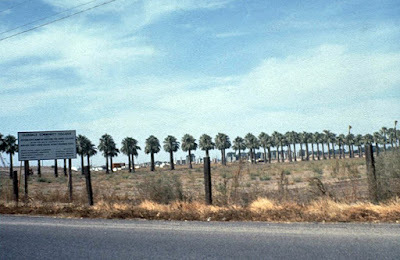 If you want to see the original trees in their original position, that's where they are. If you liked this article, and would like to see more, please consider supporting history adventuring on Patreon. If you're already a patron, thank you! You make this happen!